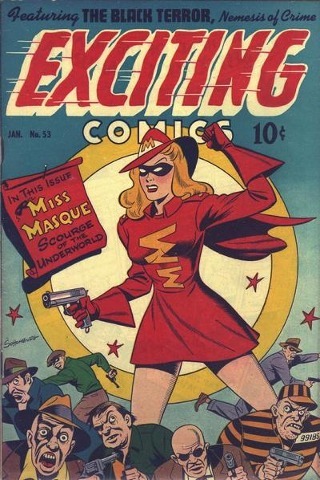 Comica is THE digital comic reader and image viewer for Android devices. It has a beautiful graphical interface, that uses the thumbnails of your comics organised in a simple and pleasing way.. Finally! You can even take snapshots of images you have zoomed into and store those separately. Bookmarks per comic are of course supported. 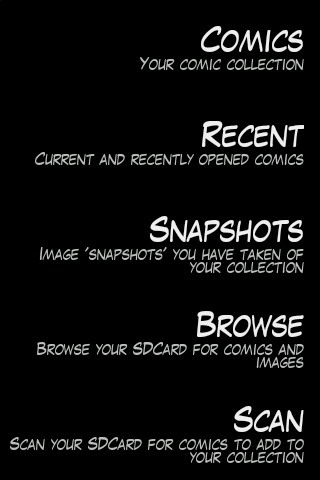 Comica can scan for comics on your sdcard, add those to your collection, and organise them all based on the folder structure you have placed them in. Very easy.